THE ABC MURDERS (Episode 1) John Malkovich as Hercule Poirot It's 1933 and a killer travels the length and breadth of Britain via the ominous rumble of the train tracks. They strike in a methodical pattern, leaving a copy of the ABC Railway Guide at the scene of each murder. As Poirot attempts to investigate he is thwarted on every front. If he is to match his most cunning nemesis, everything about him will be called into question; his authority, his integrity, his past, his identity. The holiday season may be over, but winter is not – so bundle up on the sofa! There’s a mix of great shows and movies coming up. 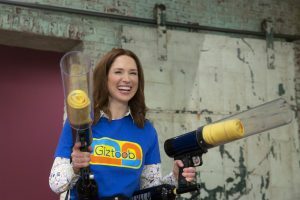 Directed by comedian Tina Fey, the fourth and final season of Kimmy Schmidt’s misadventures around New York brings the series to a close. Strong and determined, Ellie Kemper stars as the 29-year-old doomsday cult survivor who escapes after 15 years underground, adapting to surface life in her trademark hapless, heart-warming fashion. Click here for the trailer. Sarah Phelps’ new adaptation of one of Agatha Christie’s best mysteries is set in the 1930s, a time when Britain was more divided than ever, hatred was on the rise and the gap between the wealthy and the poor was widening. 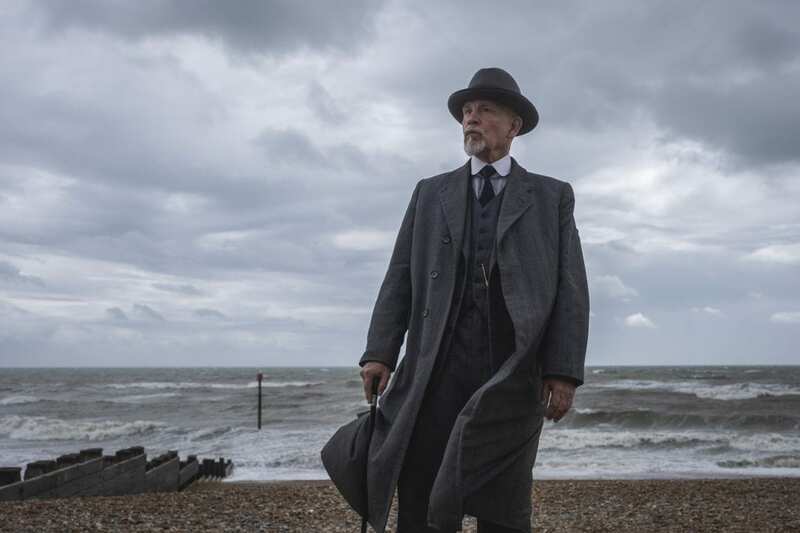 Starring John Malkovich as the iconic sleuth Hercule Poirot and Rupert Grint as Inspector Crome, the two detectives race against time to stop a serial killer known as “A.B.C.” Click here for the trailer. 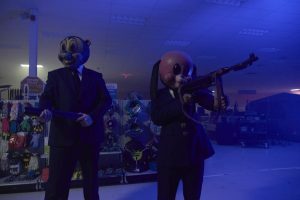 Based on the popular, Eisner Award-winning comic book series of the same name by musician Gerard Way (formerly of My Chemical Romance) and directed by Steve Blackman, the series follows a motley group of dysfunctional superheroes, who form the Umbrella Academy and attempt to avert a global apocalypse in just eight days. Click here for the trailer. Netflix’s latest original French film has director Elizabeth Vogler tells the story of a young Parisian girl, Anna, who survived a deadly plane crash and is struggling to cope with the trauma. While reminiscing about her life, Anna is caught between dream, reality, past and present as Paris explodes with political turmoil. Click here for the trailer. Director Adam McKay (The Big Short) brings smart and funny storytelling to actor (and former Obama administration official) Kal Penn’s curious and thoughtful mind, offering a compelling primer to the global economy. Every episode provides answers to burning questions like: Is money even real? How can I launder a bag of dirty cash? And is it easier for jerks to get rich? Featuring interviews with specialists, entrepreneurs, journalists and policy experts, this documentary shows the connections within world finance and how it impacts the lives of 7 billion people. Click here for the trailer.